I’ve got an absolutely adorable picture book to share with you for this week’s Butterfly Book Club. 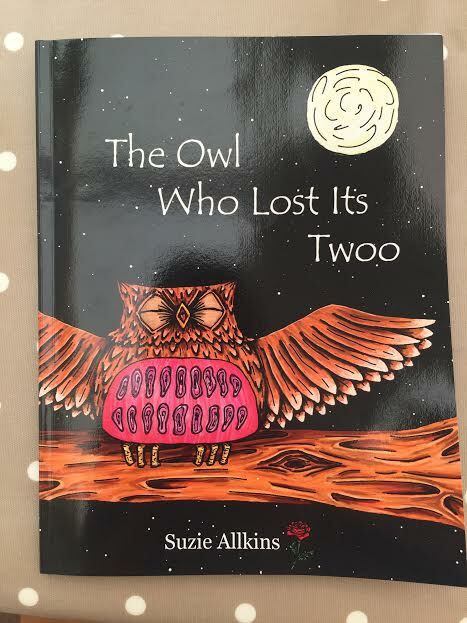 The Owl Who Lost Its Twoo by Suzie Allkins is so, so charming and has a lovely message too. It tells the story of Ollie, an owl with the loudest twit t-woo anyone has ever encountered. As a fairly loud and unsophisticated kind of person I found this very relatable! Following pressure from the other animals Wise Old Wizard Owl puts a spell on poor Ollie to silence him, but unfortunately the spell doesn’t quite go to plan and life becomes even more tricky for Ollie. Like all the best picture books, this one uses both rhyme and repetition which is always a hit with Caterpillar (and me as I find these most enjoyable to read aloud too). We especially enjoyed the spell: “Noisy-doo and noisy-dee, twiddle diddle-doo. Shushy-doo and shushy-dee, no more Twit T-woo” – really creative sounds that Caterpillar found really amusing. The illustrations are so fabulous – really unusual with great use of bold line drawings and dark colours. 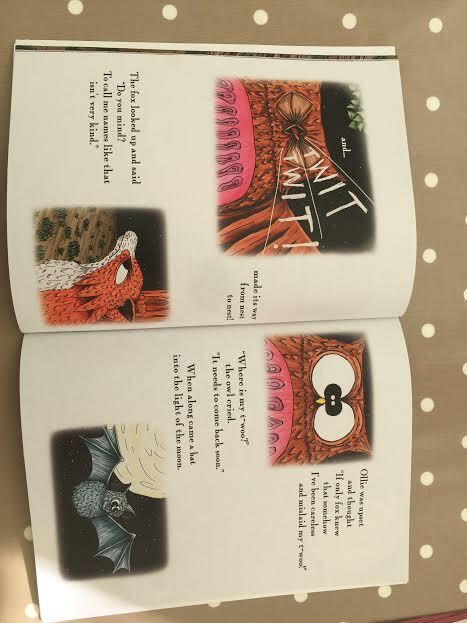 There is a lot of detail on each of the creatures too – their feathers and fur etc – which is really lovely to look at. As you know, I love children’s books to have meaning and this has bucket loads. There is a good balance of humour and sadness, I felt very sorry for Ollie but couldn’t help sniggering at the situation too. It covers lots of themes too – isolation and the desire to be liked/make friends, the danger of misunderstanding and the merit in admitting your mistakes. The lesson running through is to teach children about when they need to use their “quiet voice, ” which can’t be a bad thing. The Owl Who Lost Its Twoo is a really simple idea but executed in such a creative, imaginative way. To find out more about Suzie and to purchase the book visit her website www.suzieallkins.com. You’ve got some good books on #KLTR today but this looks my favourite. I love the illustrations and the story sounds fun.